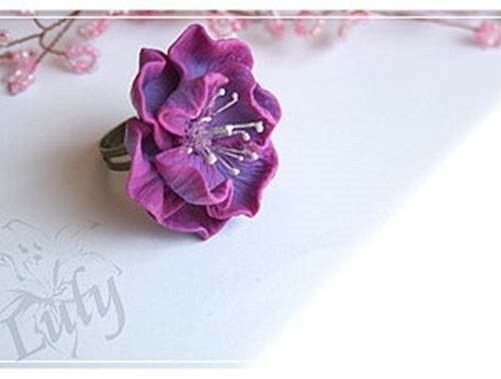 This polymer clay flower ring tutorial is on my to do list for some time. I share it with you in case you can dedicate more time than me for your passion. 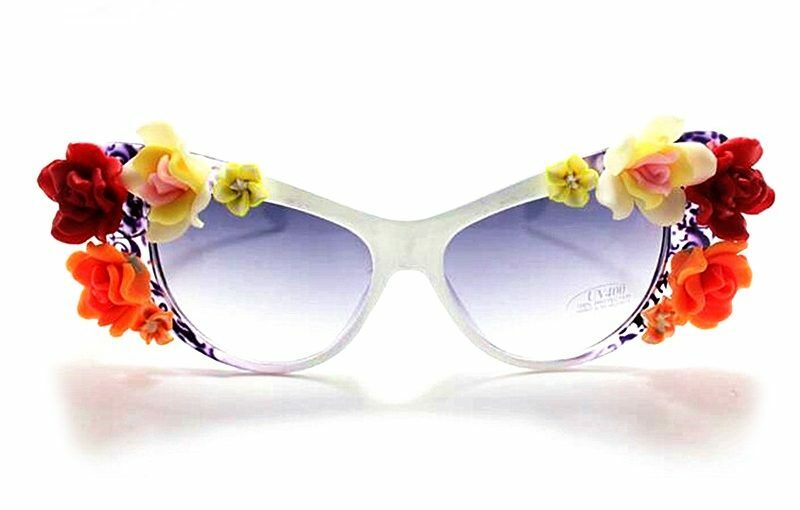 In my fairy tail dreams is raining with flowers, tiny little flowers, all type and all colors! 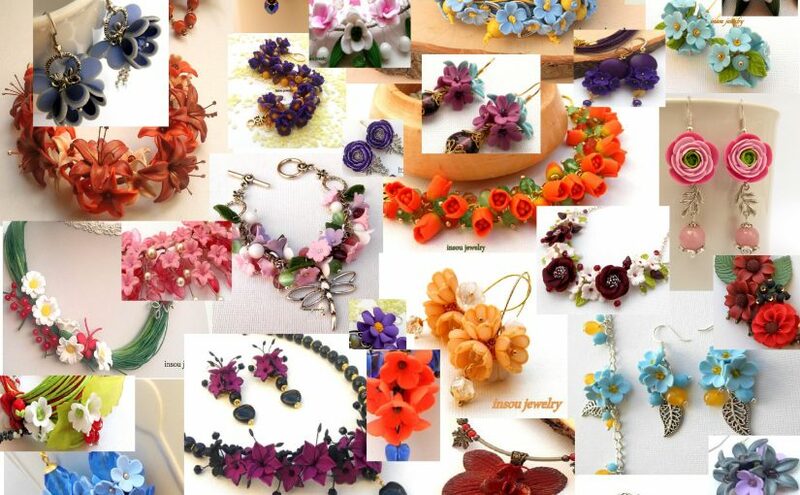 I waited so long for summer to come just to wear all my flower jewelry! I won’t insist about the gradient sheet, this is subject of another tutorial. Roll the sheet from the lila part. You should obtain a cylinder like the one in picture no 3. Press it on a edge and cut thinly slices of gradient polymer clay. Press them with your finger. Take the plastic sheet and press it with the thickest part of the cuter like in the 6th image. You can use a petal or a leaf mold. Take one by one the slices and press them into the mold you just realized. 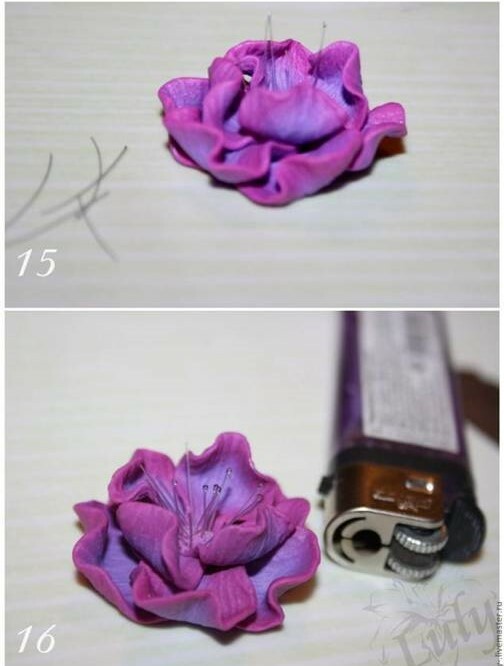 Take the first polymer clay petal and curl it on the largest edge and apply glue on the smallest one. Take the second petal, curl it as you did with the first one and apply it to the first one covering 20% of it. 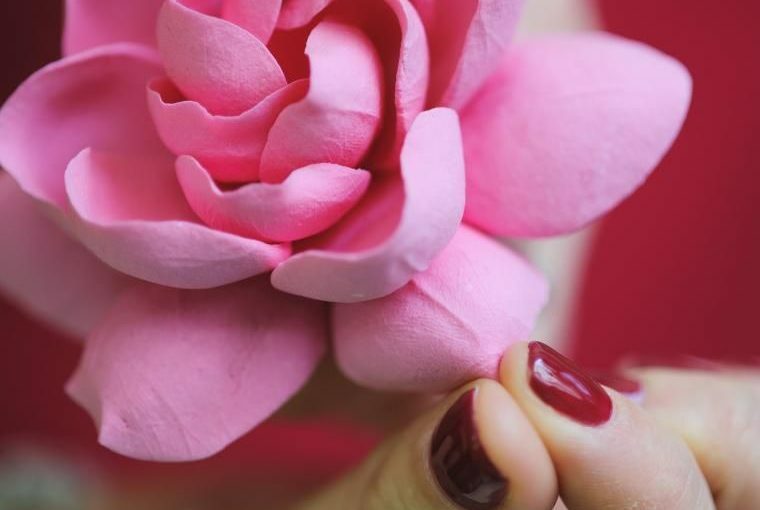 Repeat the procedure with the rest of the petals. IS not a perfect number of petals, you can use as many as you want. 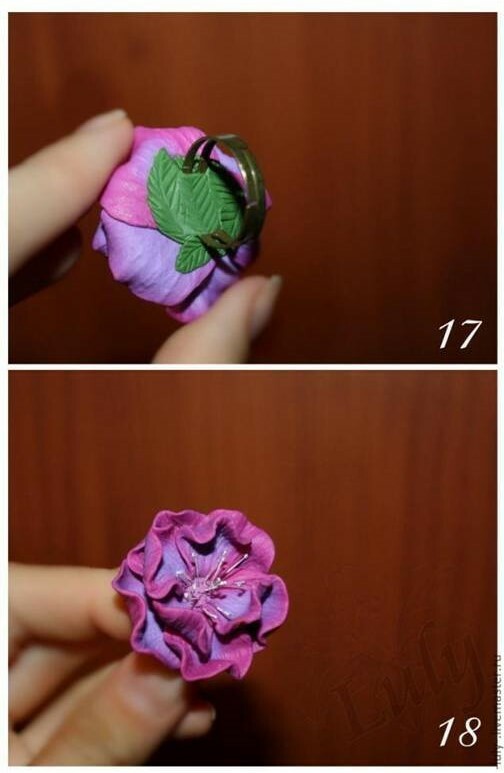 In this polymer clay ring flower tutorial there are used nine petals, 5 for the first layer and 4 for the second one. 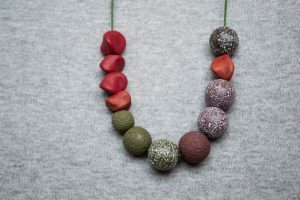 Take a small part of polymer clay and create a ball. Apply it in the center of the flower. Take a toothpaste and ruffle it. 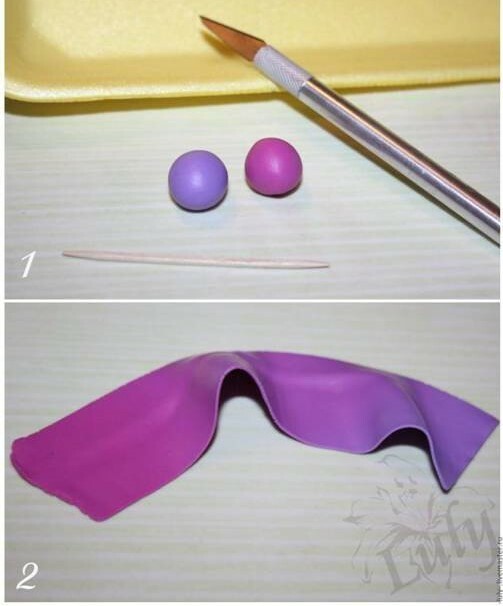 Take the plastic needles and stick them into the ball. 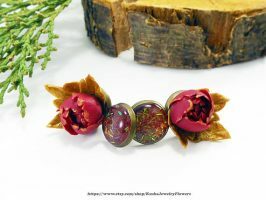 In this polymer clay ring flower tutorial the needles ends are heated to create the effect of stamens. 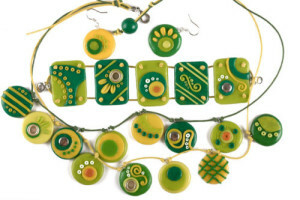 Take a green piece of polymer clay and fix the ring base like in the picture 17. 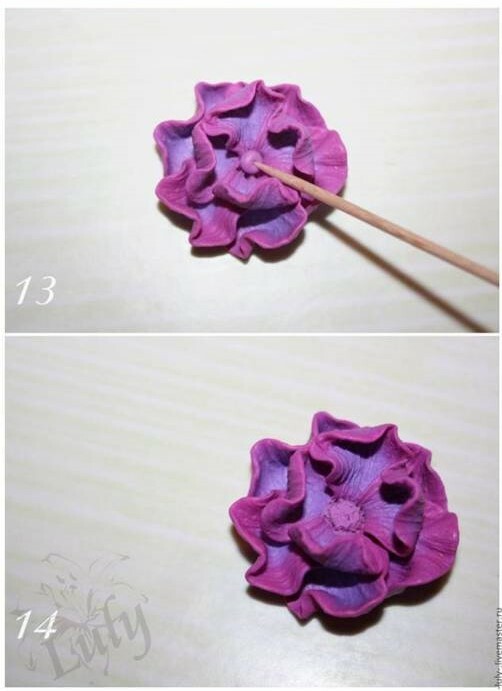 I hope you enjoyed this step by step polymer clay flower ring tutorial! I found it here. 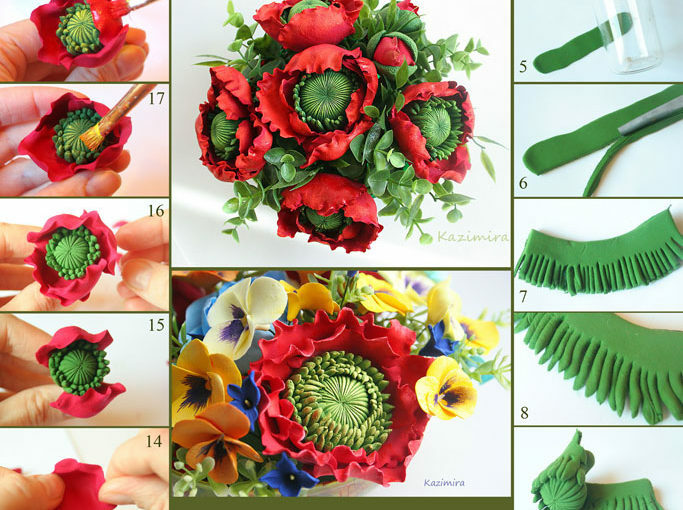 Did you enjoined this polymer clay flower ring tutorial?